It is a story attributed to a famous Saint from Middle Ages – a votary of the idea of Brahma Satya, Jagat Mithya (Brahma is the Only Truth, Rest is All Illusion). Once this gentleman was walking with his Shishya (disciple) on a road and suddenly a elephant appeared from nowhere and rushed towards this duo. Abruptly ending his discussion on Maya (illusion) the Guru instructed his Shishya to just run away to save himself. When both of them were at a safe place, the exasperated Shishya asked the Guru, why did he ask him to run knowing well that everything else is an ‘illusion’. Without winkling his eyelid the Guru said ‘Gajopi Mithya, Palayanopi Mithya‘ (The elephant was also an illusion and our running away was also an illusion). Statue of Unity – How the Varna Media is Loving It ! This release from the JUSTICE FOR ISHRAT JAHAN CAMPAIGN comes to us via Manisha Sethi. “If you tell a lie big enough and keep repeating it, people will eventually come to believe it.” This is a quote often misattributed to the Nazi propagandist Joseph Goebbels. So widely is it believed to have been the key to Goebbelsian propaganda that it often employed by those whose politics is inspired by Goebbels’s Feuhrer. This is exactly what we are seeing in this frenzied rush to pronounce Ishrat Jahan as a Lashkar operative by a section of media and commentators friendly to the ‘IB sources’. Knowing full well that CBI’s mandate is only to enquire into the nature of the encounter – to probe whether Ishrat Jahan and three others were killed in cold blood – and realizing increasingly that the CBI investigation is leading to the unraveling of a plot so sordid that serious questions are going to be raised about the manner in which certain elements within the IB and agencies cynically used national security issues for vested interests, there is an attempt to pop up red herrings. False questions, planted stories, lies, fabrications – anything that will take the focus away from the guilt of those who conspired to abduct, drug and kill a teenaged college girl. Guest Post by M AKHIL: Listen to the flourish. The stage is set, the side-kicks are in place and the sycophants are scampering tirelessly to welcome their emperor. 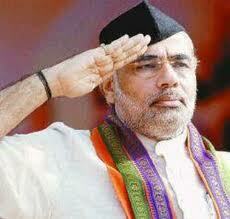 Narendra Modi has started his journey to the high seat of Indraprastha. इशरत जहाँ एक उन्नीस साल की लड़की थी जब वह मारी गई.शायद उसके बारे में इसके अलावा इस निश्चितता के साथ हम कुछ और कभी नहीं जान पाएंगे. इसकी वजह सिर्फ यह है कि जिन्हें इस देश में सच का पता लगाने का काम दिया गया है वे एक लंबे अरसे से झूठ को सच की तरह पेश करने का आसान रास्ता चुनने के आदी हो गए हैं. उनके इस मिथ्याचार पर कभी सवाल न खड़ा किया जा सके इसका सबसे अच्छा तरीका है राष्ट्र रक्षक की अपनी छवि का दुरुपयोग निस्संकोच करना. जो राष्ट्र की रक्षा करता है उसे उसकी रक्षा के लिए किसी को मात्र संदेह के आधार पर मार डालने का हक है, यह हमारे देश का सहज बोध है. सिर्फ अशिक्षितों का नहीं, उसने कहीं ज़्यादा राजनीति शास्त्र की किताबों से नागरिक अधिकारों का ज्ञान प्राप्त किए हुए स्नातकों का. उन सबका जिन्हें देश की जनता के पैसे से संविधान की हिफ़ाजत के लिए अलग-अलग काम सौंपे जाते हैं. और भी साफ़ कर लें, इन स्नातकों में भी उनका जो प्रशासनिक और पुलिस अधिकारी हैं, जासूसी के अलग-अलग महकमों से जुड़े ऑफिसर हैं, जिनकी असली पहचान कभी उजागर नहीं हो पाती. अगर दूसरे मुल्क में वे पकड़े जाएं तो वही देश उनसे हाथ धो लेता है जिसकी सुरक्षा में वे अपनी असली पहचान छिपाए फिरते हैं.